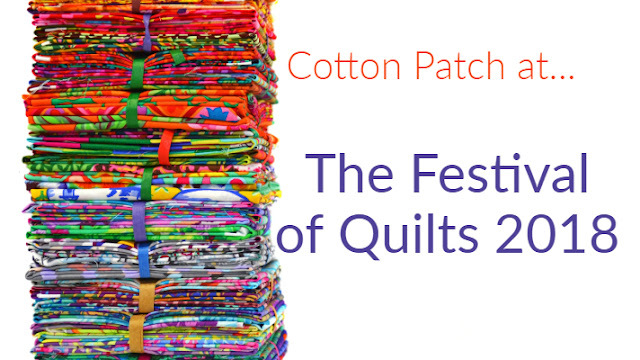 One of the areas that beginner patchwork and quilters sometimes struggle with understanding is what thread to use where. 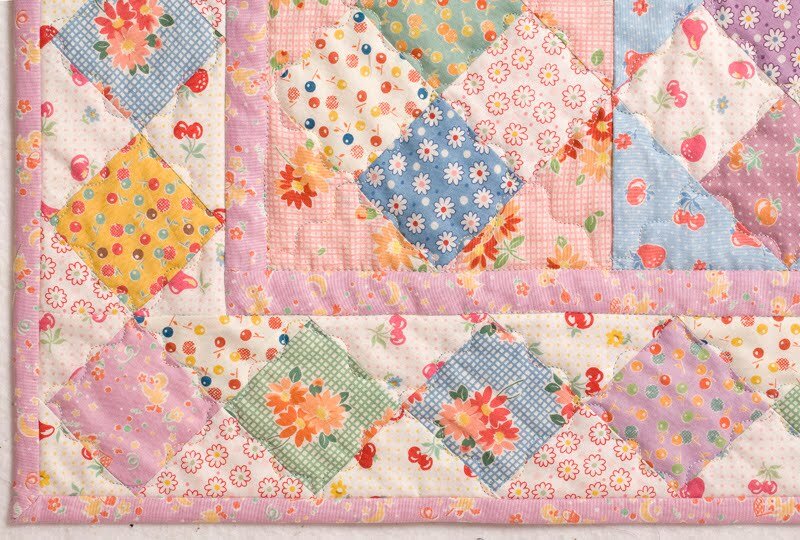 For piecing we generally want something that is as strong as the fabric you are sewing with (cotton with cotton, polyester with polyester, etc is the general rule). 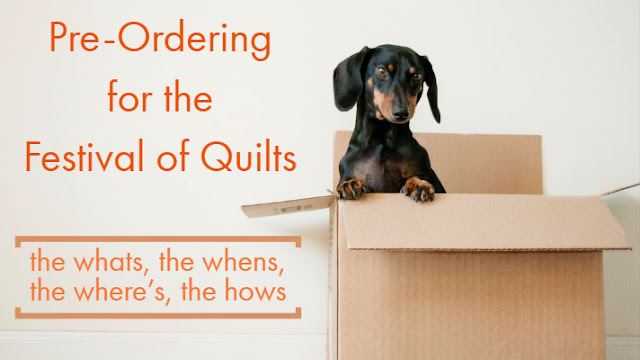 The reason for this is so that the thread does not cut through the cotton fabric because as the fabric gets older the cotton fibres will age and become less robust but polyester will still remain very strong for a much longer time. In addition the number of strands is important. So if you see 60/3 it means the thread is judged by the manufacturer to be 60 weight (sometimes called "ticket") and it is made up of a twist of 3 stands. A 3 strand thread will generally be stronger relative to its total thickness when compared to a 2 strand or single strand thread. This makes sense because we know for example that rope that is used for mooring ships is usually three stands plaited together. The thickness of the thread - 20, 30, 50, 60 etc refers to the number of metres per gram or number of skeins per pound. So the thicker the thread the less metres per gram. So a fine thread like a YLI silk 100 would have more metres per given weight than a thicker thread like Presencia Perle Cotton 8.
it comes in colours that are good for ...piecing! The great thing about Presencia 60/3 thread is that it's also excellent for fine machine quilting. 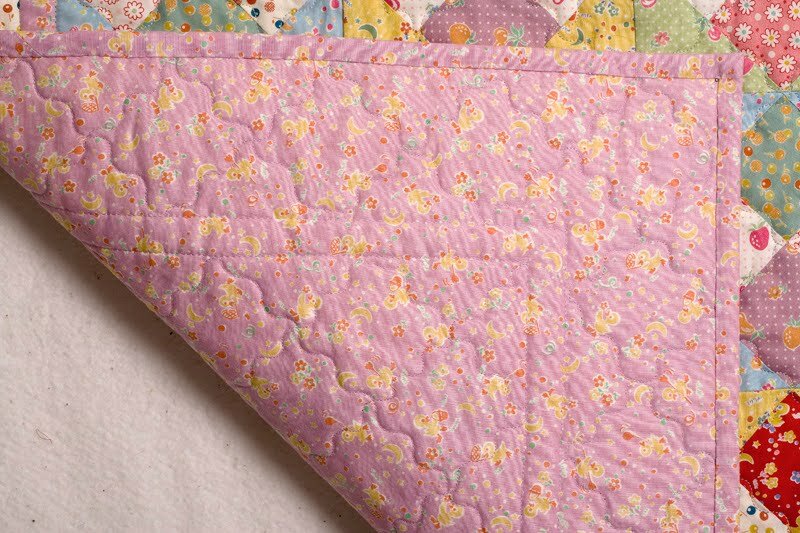 "Presencia Thread is a must for piecing as it embeds itself beautifully in the seam lines, especially when pressed, thus eliminating bulk which makes it so much easier when quilting in-the-ditch. I use it for all my piecing as I love the lighter weight and it runs so smoothly through my machine, and the great thing is there's loads on a spool. I like it so much I've even used it in the bobbin for quilting as it lays so flat. It's the neatest thing, so why don't you try it. It comes in a fabulous range of colours too so you can't go wrong - no more show through of the bobbin thread on the top of your work!" 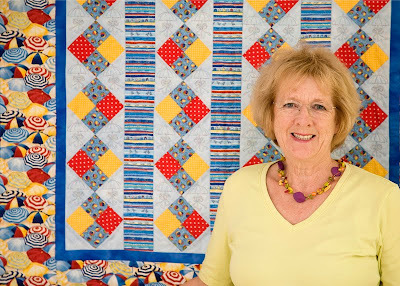 Presencia, who are based in the beautiful city of Valencia, in Spain have been producing thread for years but it is only relatively recently that their thread has been distributed in the US and UK for patchwork and quilting. We started supplying Presencia thread after a visit to the Houston Quilt Market where Harriet Hargrave recommended the thread for piecing. 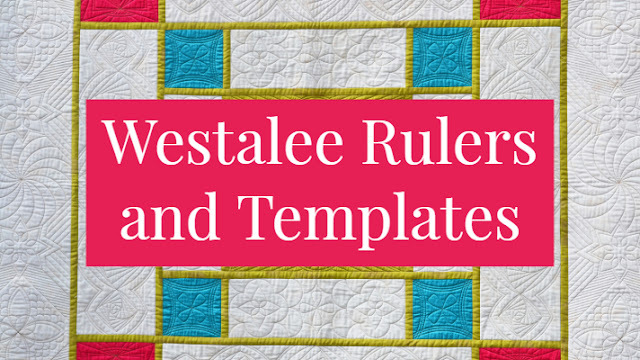 Harriet Hargrave has a methodical analytical approach to quilting and she's always good at spotting products that work for quilters and why they work. Harriet gave us some background to her how she discovered the Presencia thread - "I was responsible for 60/3 being brought into the US, and that because Carrie (Harriet's daughter) found out they made 60/3 for the tailoring industry in mainland Europe while she was working on her masters study- which is all about thread. I asked Presencia to spool it and dye the colors so that it would have a wider market and could be readily sold here. For the last 5 years I have been heavily promoting it where ever I teach and now it is finally catching on. " So there we go - how to influence manufacturers to produce something you need! Regarding the Presencia 60/3 thread Harriet says "This thread is your answer to gaining back your seam allowances, it is very thin but strong! Use it for quilting too, when you are quilting more than 2" apart." 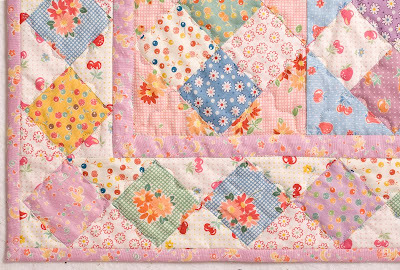 Harriet and Carrie Hargrave run quilting retreats in Colorado. Having been the in-house quilt shop for Chris Porter's Cabot Conferences where Harriet was teaching I can highly recommend her courses and you can't do better than Colorado for a beautiful place to sit and quilt! 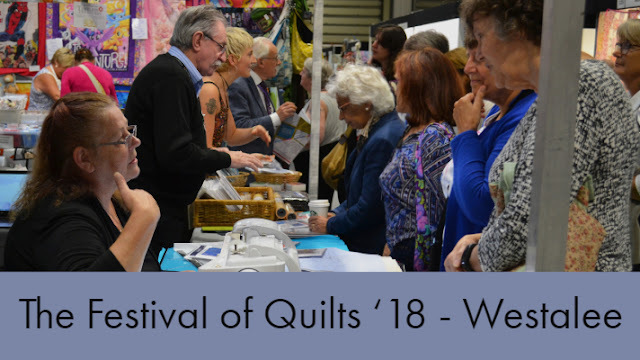 I seem to remember that on the first one I went on Dilys Fronks and C June Barnes were on the course which goes to show that even really experienced quilters see the need to keep on learning. 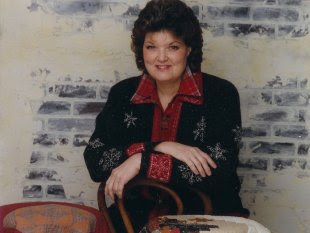 For more information on Harriet and Carrie and for information on her courses please do visit Harriet's website and if you're even in Denver her shop is beautiful and really easy to find at Wheat Ridge. I am having hard time finding Presencia all coton Finca thread color number 7392, I started an embroidery piece and I need more thread. Where can I find it? I tried on line and the number 7392 is not found. Do you have it ? how can I get it?